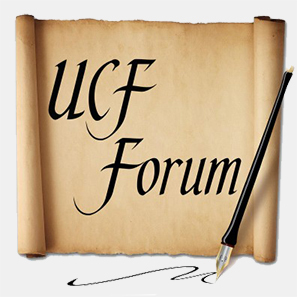 E2i’s Director Eileen Smith has been contributing over the past six months to the UCF Forum, an online opinion forum written by various faculty, staff and student contributors. These are posted on the UCF website, on the Florida Voices website, and broadcast at 9:01am on Sunday on WUCF-FM (89.9). Eileen’s columns have run in August, October, December, February and April; her tenure on the forum as a contributing writer will end with a column in June. I’ve lately been pondering whether many of us are losing track of the need to “stop and smell the roses,” as the cliché goes. As 2012 winds down, I find myself thinking about what impact simulation will have in the future. Simulation is the process of imitating something, and humans have been doing simulations for centuries. In my field, simulation is a training tool for understanding time, place and scale, and with advanced computers the possibilities of imitating have grown exponentially. 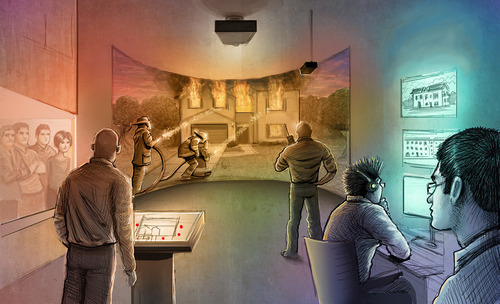 E2i Creative Studio is working in partnership with RAPTER, another IST lab, to create an immersive simulation aiming to raise the training readiness of new Orange county Fire Department lieutenants in Incident Command. The simulation will involve multiple scenarios, among them a single family home, light industrial complex, and apartment complex. Dynamic smoke and fire simulations will be used to demonstrate real world reactions to command techniques, allowing the trainees to see the result of their actions and how it can change an emergency incident. I'm a great learner, if I do say so myself. I learn at my own pace, with my own methods, and make my own connections as they relate to my life, both personal and professional. I feel confident in my ability to find answers to questions that I have, either on my own or by connecting with someone who has the answers. I say this as someone with a high level of self-empowerment and self-confidence. So how can we as a society infuse the ability for every child in school to feel like me?